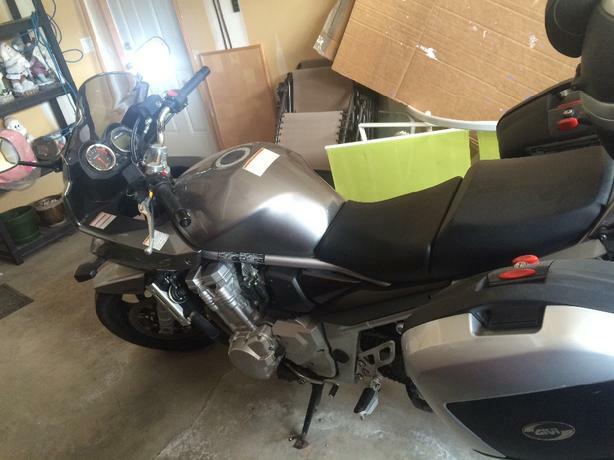 2008 Suzuki Bandit for sale. 1250cc with rear and side paniers, 17,525kms. Bike is in great condition, sport touring model with the quickness of a sport bike and the comfortable riding position like a cruiser. The rear panier will hold 2 helmets for when you are out with a passenger, paniers lock for securing your personal belongings. Needs new signal light housing (still in usable condition), which is easy to replace, and tires are probably about due, but the battery is brand new. $5000 firm.